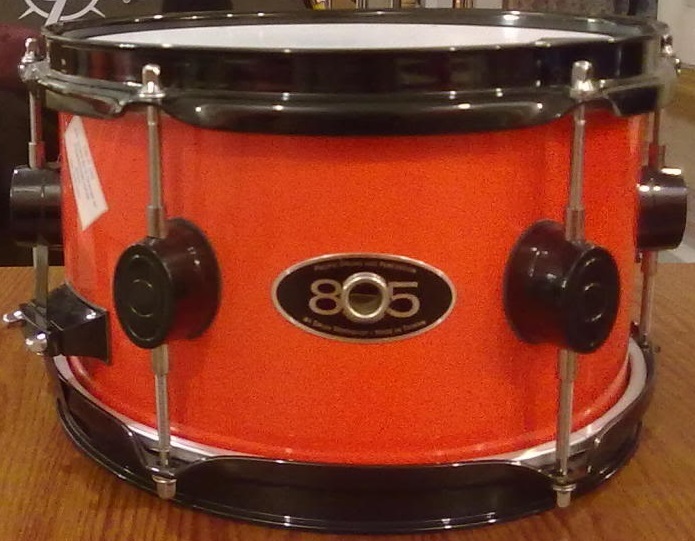 Although discontinued for some time now, the 6X10 PDP 805 snare, also commonly referred to as the PDP 805 Side Snare is still readily available used. We usually don’t review products that aren’t currently available new, but with this snare we’re willing to make an exception. One reason being the general availability used. Another reason being the affordable price-point, both used and when it was still being made. PDP’s 805-line included complete drum kits and multiple sizes of wood as well as steel snares. All members had powder coated hardware and came in a multitude of bright colours and checker patterns in black and red. Sometimes I hear the 805s incorrectly referred to as “Blackout”. Likely a confusion due to the black hardware and the catchy ring to the “Blackout”-term. “Blackout” is a completely different series that shares some similarities with 805. Although the 6″X10″ PDP 805 also came in a steel variety, this review is strictly in regards to the wood version. Shell: 6″X10″, 8 mm “Select Hardwood” with Maple inner and outer plies. While there’s nothing particularly stellar about this little 10″ PDP 805 Snare, it’s incredibly useful in the higher tunings. 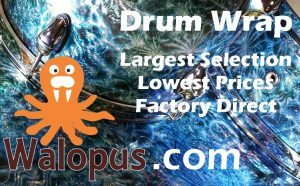 A fun addition as a side snare and with some tweaking even able to carry the weight of the main snare in a compact set-up. Since it can sometimes be found used in the $50 range, the value for money is 10/10. 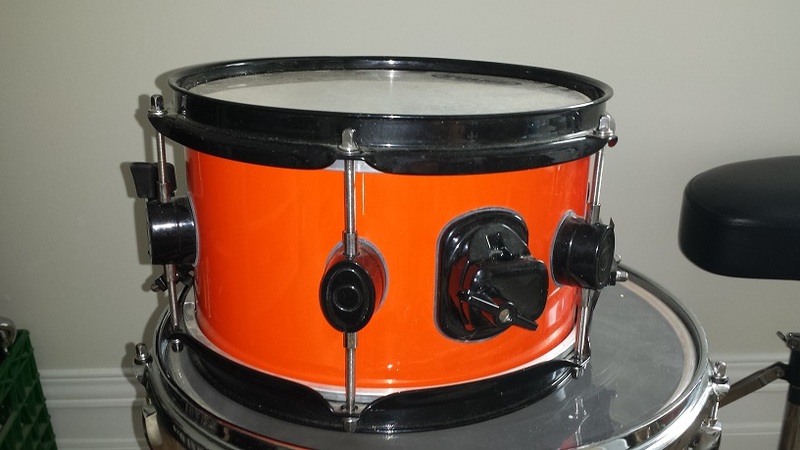 Even at the roughly $100 this drum fetched new, the value for money is solid. 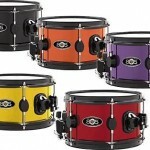 CompactDrums.com recommends the PDP 805 Snare! Popping the rims off reveals a slightly unorthodox bearing edge. Standard 45 degree inner cut, with a round-over external cut and the summit centred on the shell edge. The bearing edge itself is smooth and without flaws. Cross measuring the shell reveals 0.1 mm “out of round” on our sample. We check the “trueness” or “flatness” of the bearing edge on a 24″X24″ slab of granite. Our example displayed 0.2 mm “out of flat”. 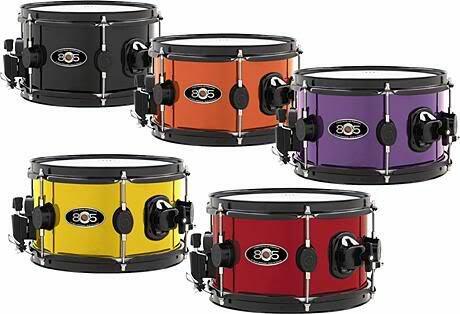 This is quite a bit on such a small snare, but not unreasonable for the price range. On the snare side we are surprised at the absence of a snare bed. Likely we’ll be adding one on our sample. See more on this under “Sound and Tuning”. The 8 mm thick shell is comprised of maple inner and outer shells with mystery hardwood in between. Various attempts at identifying the wood species of the centre plies turned up nothing. We’ll just settle for “mystery-wood” and update this article if we ever find out what’s in those shells. 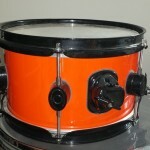 Our sample snare has been through at least three owners and despite being through some less than careful handling, still looks brand new after a “spit and shine”, indicating a durable lacquer finish. 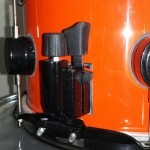 The rims and other hardware are also free of scuffs and scratches. 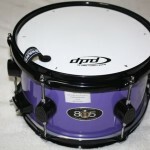 Overall, the PDP 805 Snare is quite durable and solidly put together. All the hardware is solid and of thicker gauge than one would expect from the price range. This explains the surprisingly hefty weight that tends to surprise every time you pick it up. A hinged mounting bracket rounds out the hardware list. 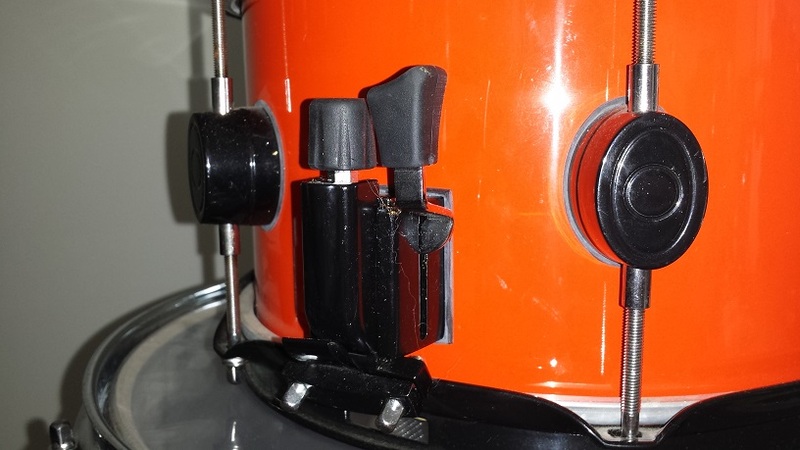 A very handy add-on allowing for stand mounting the snare. 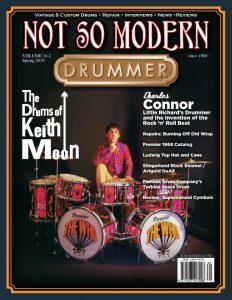 Even when used as a main snare with my 14″ bass drum I use the mounting bracket greatly increasing freedom in Hi-Hat stand placement. 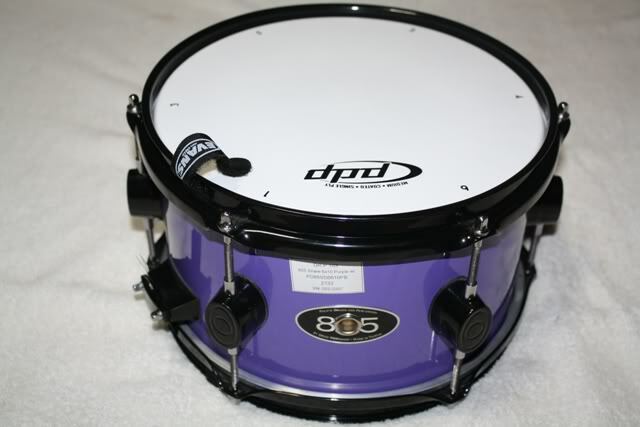 The 10″ PDP 805 Snare has a variety of pleasant tones when tuned high. Attempting to tune it medium or low doesn’t exactly yield poor results, but rather boring and lacking in character. There may be some usefulness for the lower tuned voices, but for all regular intents, this snare was made to scream more than roar. 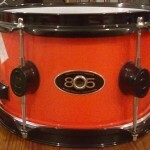 Tuned up the 805 reward you with crisp, clear and distinctive pops and cracks. It’s also surprisingly loud for its tiny little footprint. Even when whacking it hard for a loud snap, the sound is clean and clear. All through the range from just above medium to so tight it creaks the sound is pure and crisp. There is a surprising variety when playing with mismatched snare-side and batter side tunings as well as dropping one lug a smidge below the others. The PDP 805 Snare is also surprisingly fun to use as an effects tom with the snares thrown off. Some owners have reported involuntary throw-offs when the snares are loosely tensioned, but this is not the case with our sample. The snare tension is a little bit finicky. There is a rather narrow range where they come in adequate motion. Most likely due to the absence of a snare bed. We will be rectifying that in the near future. They also tend to cause a rather unpleasant buzzing during the sustained notes if not carefully adjusted.